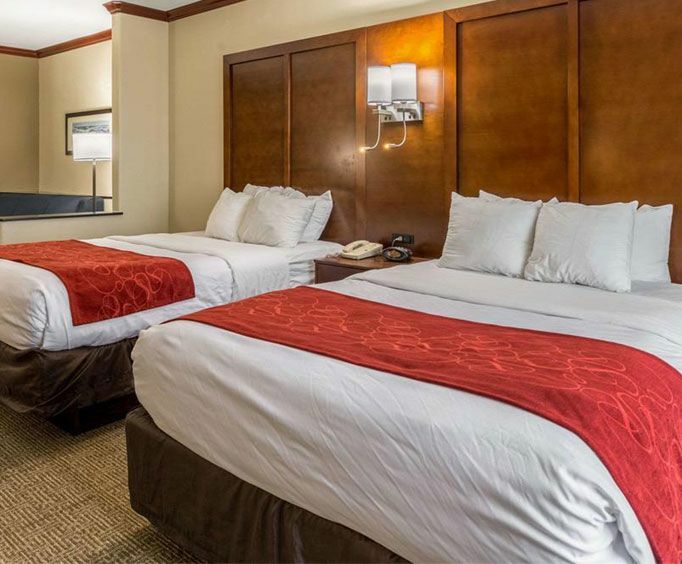 Conveniently located less than 2 miles from Schlitterbahn Water Park Galveston Island, the Comfort Suites in Galveston, Texas offers great amenities and comfortable accommodations. Hotel amenities include a fitness center, outdoor pool, outdoor hot tub, shuttle service, business services and complimentary continental breakfast served hot. There are also many great attractions and activities located within a short drive of the Comfort Suites including a fishing pier, the beach, Moody Gardens, the Lone Star Flight Museum, Cruise Boat Terminal and Seawolf Park. When visiting Galveston, there is no better place for you to stay than this amazing hotel. As you wake up each morning, treat yourself to the hotel's wonderful continental breakfast. Eat your fill of your favorite items such as eggs, waffles and yogurt. Then, after you are satisfied, head down to the outdoor pool and relax in the sun's invigorating rays. Once you are ready to get your body energized, just stop by the fitness center and take a run on the treadmill until your body is fit to start the day. 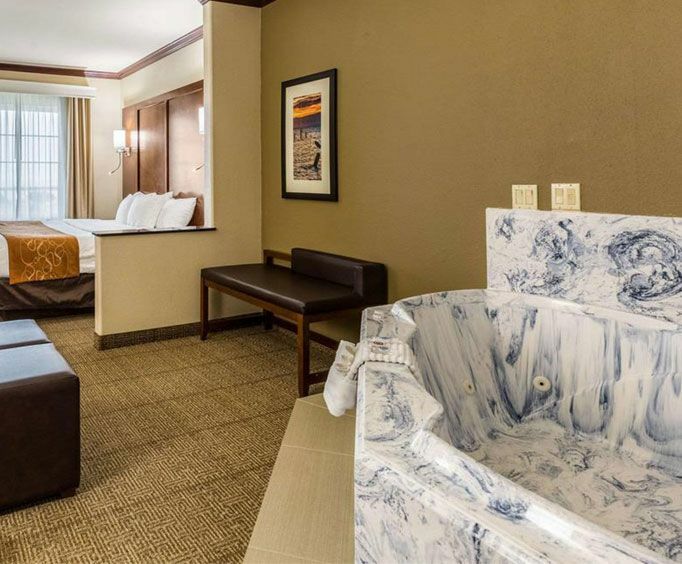 All rooms at the Comfort Suites in Galveston, Texas include a microwave, refrigerator, in-room iron, coffee maker and TV with access to cable. Free local calls and complimentary internet access are also provided. When you want to dine locally, try the Breeze In Breeze Out, the Lucky Lounge or the Inverness By the Sea restaurants, located less than 0.9 miles from the hotel. 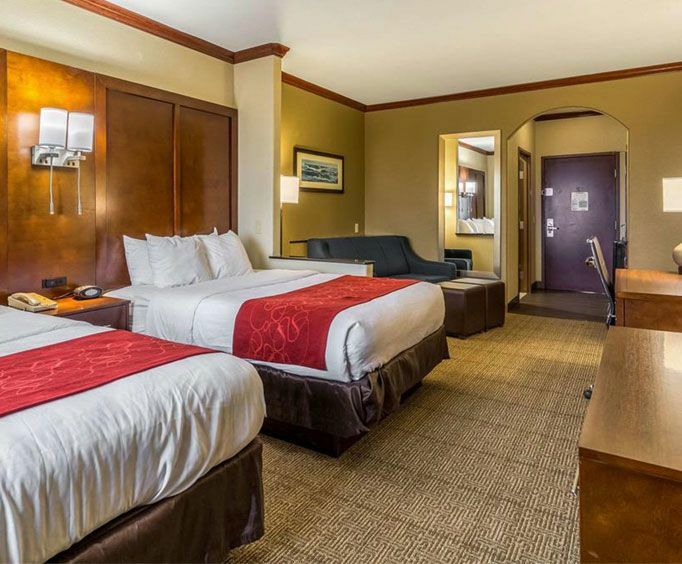 During your stay at the Comfort Suites in Galveston, shop at the Galvez Shopping Center or the Galveston Place, both malls within 2.7 miles from the hotel. The comfort suites is a good place to stay. Clean rooms. The ocean view was great. Would stay there again.